About a year ago, communications regulator Icasa took fright at the national integrated ICT policy white paper and, within months, gazetted an invitation to network operators to participate in an auction for much sought-after high-demand spectrum. There’s an impolite way to say what happened next, but let’s just say that the fan is still spinning. It’s been a year of antagonism between the minister and the ICT sector. Legal battles were launched. There were threats of expropriation of the mobile network business and mutterings about taking the ANC government to the constitutional court to protect the due process of law making and the preservation of private-sector financial investments. Some of the spinoffs of the churning fan have had positive impacts. Telecommunications minister Siyabonga Cwele must be congratulated for taking seriously the outrage over the proposed structure and spectrum grab of the proposed wholesale national wireless open-access network, or Woan, to come up with the compromise that has broad agreement from the stakeholders. The minister’s tactic of agreeing to the flexibility in implementation of the policy’s stand on spectrum allocation is something we will keenly watch through the regulatory process to ensure that the principles of market competition and investment protection are embedded in the wholesale wireless broadband market — and that it is not held hostage to enriching ANC cronies. All of this angst could have been avoided if the minister and his advisers had not tried to ambush the mobile communications sector with the Woan idea without subjecting it to lawful public participation. It was this underhanded contravention of proper process to blindside the sector that was one of the factors that prompted Icasa to exercise its mandate to operate in the best interests of market competition and launch its spectrum auction. 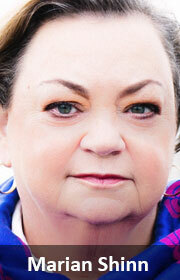 The auction action gave loud advance warning that some drastic action was pending. This was confirmed when the policy was gazetted last October. It contained a suspiciously spawned network idea that smelled of connected cronies — already super-rich from the initial liberalisation of the telecoms sector — making a grab for other people’s businesses in the guise of radically upending the ICT sector to transform it. 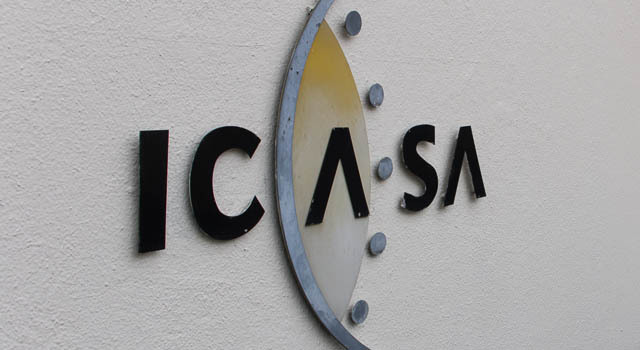 What Icasa saw a long year ago was a policy idea that would introduce a wholesale network monopoly that would inhibit investment in the sector and keep costs high through lack of competition. The concessions the minister has facilitated with the core of stakeholders involves allowing the mobile network operators to retain the spectrum they currently use to service their customer bases, as well as access to “sufficient” high-demand spectrum. This will enable them to run in parallel to the Woan at the same time as being its significant customers. They will also commit to increase their empowerment credentials. There’s a legal and operational minefield to traverse here. What is “sufficient” spectrum for the operators and the Woan? Also, the operators are being asked to commit — now! — to using 51% of a network that, even with optimum efficiency, will take at least six years to build. Who knows what the market — and the economy — will look like in 2022. The minister must publish on the telecoms department’s website this signed agreement with the stakeholders, as well timely updates of the research being undertaken, and the implementation plan and timelines for the Woan. Icasa must closely watch the establishment and operations of the Woan to ensure it operates competitively, encourages innovation in delivery mechanisms, complies with the best technical standards and facilitates smaller operators, particularly in rural areas. This past wasted year was just another time waster in the ANC’s tally of ill-advised decisions and policies that have been more geared towards enriching cronies than working in the best interests of the nation. Another spectacular ANC government failure is the migration to digital broadcasting, which should have happened last June. This migration, to free up spectrum for wireless broadband services, has had many missteps and ANC stupidity during the past 15 years. It is now bogged down in the courts thanks to a suspect policy amendment made by former communications minister Faith Muthambi. The new minister of communications, Ayanda Dlodlo, indicates that a reversal of this policy is pending. But this is only the first step in breaking the logjam. There is the seemingly corrupt procurement process for the production of government-sponsored set-top boxes. The entire process needs to be revised. Another failure of this ANC government in delivering affordable Internet throughout the country is South Africa Connect. The tender to confirm the ANC’s choice of a lead agency to manage this ambitious project failed last year. Had the minister taken the advice of the National Broadband Advisory Council, rather than snubbing it into oblivion, he would have avoided the “lead agency” mistake. Phase one, announced in President Jacob Zuma’s state-of-the-nation address in 2015 — and again this year — would be well on its way by now if he had. The spinoffs from the fan have also hit the mobile network operators in their conscience. Public outcry about mobile data costs during the portfolio committee’s two-day hearing on the issue have prompted the major operators to initiate some steps to bring down costs. The committee has recommended that Icasa research the financial implications of the operators splitting their businesses into wholesale and retail operations in the interests of pricing transparency and user choice. Public pressure worked on the minister over his Woan idea. And it is working with the network operators on pricing and their empowerment strategies. Citizens voices are being heard and acted upon. And this is a cause for celebration.